The Oklahoma City Thunder are the worst team in the Western Conference and tied with the New York Knicks for the 2nd worst record in the league. Let that sink in for a second. A season that started with so much promise has devolved to this current state. The thing is, the Thunder don’t feel like one of the worst teams in the league. They have been competitive in most games this season, but, unfortunately, lack the horses to put teams away. The Thunder lead the league in moral victories, but those mean squat when it comes to the final W-L record at the end of the season. This team needs to start winning some of these close games in order to stay within striking distance of the 8th seed in the Western Conference. This is the 2nd meeting of the season between the Thunder and the Nets. 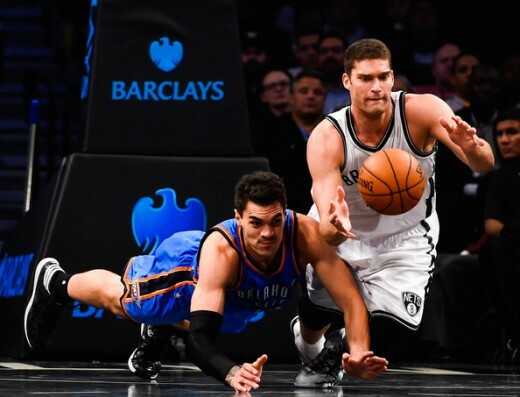 The Nets did a number on the Thunder in the 4th game of the season, beating them in convincing fashion, 116-85. That game was Reggie Jackson’s first of the season, and there was a bit of an adjustment period that clouded the team’s performance in that game. The Nets decimated the Thunder’s zone, which had been pretty successful in the previous 3 games, to the tune of 52.4% shooting from the field to go along with 11 3-pointers. The Nets currently stand at 4-7. The Nets started 4-2 out the gates, but have since lost 5 in a row. The main issue has been defense. 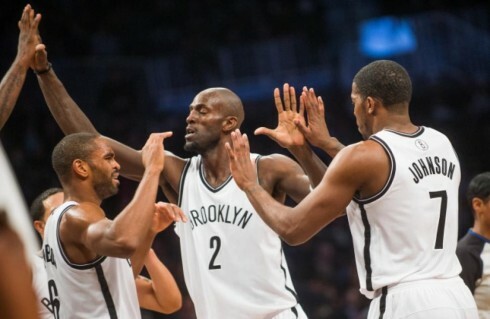 In their first 6 games, the Nets gave up 98.2 points per game. During their 5 game losing streak, they are allowing 106.6 points per game. They are middle of the road in most statistical categories. The Nets are led by the veteran backcourt of Deron Williams and Joe Johnson. While both are a couple years removed from their prime, they are still consistent enough from the outside to be a threat. Rookie Bojan Bogdanovic has been a surprise at the SF position, pumping in 11.3 points and 3 rebounds a game on 37.3% shooting from 3-point territory. Up front, Kevin Garnett is still providing defense and rebounding in what will likely be his final season and Brook Lopez is rounding out nicely after coming back from a foot sprain earlier this season. Off the bench, the Nets have a mixture of shooters (Mirza Teletovic and Alan Anderson), an energetic big men (Mason Plumlee), and a savvy back up point guard (Jarrett Jack). 1. Brook Lopez – After missing most of last season and missing the first 2 games of this season, Lopez is just now starting to round into shape. He’s always been an All-Star talent, but has always been derailed by injuries. His last game was his best one yet, totaling 26 points, 7 rebounds, and 3 blocks on 11-19 shooting from the field. If the Nets get an inside/out game working with Lopez and their wings, the Thunder could be in a bit of trouble. 2. Perimeter Defense – The Thunder do a good job with this zone for the most part. But the Nets, in all their veteran savvy, exploited it the first time they played. 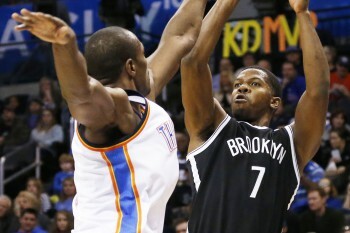 If the Thunder are able to corral the shooters for the Nets, they will probably have a chance in this game. The addition of Andre Roberson will hopefully help this. 3. Transition Opportunities – There should be no reason why Reggie Jackson, Roberson/Jeremy Lamb, and Serge Ibaka don’t beat their man down the floor numerous times tonight for easy baskets.